Hpa An is another magnificent city that you have to visit at least once in your life time! Not really much info we can get from search engine lately about this destination. Therefore, you will experience a lot of fascinating surprise about what this city could offer to you! Located in the south east of Myanmar the city is surrounded by beautiful landscape, limestone mountains framing, Than Lwin river flowing, and greeny paddy field widely carpeting. Therefore, most of the tourism sites around the city constitute nature exploration! As a country blessed by wonderful landscape, we know that Burmese builds so many Pagoda as an appreciation to the Creator. Thousands pagoda we can find anywhere in the country, from the highest peak of mountain to the deepest caves. 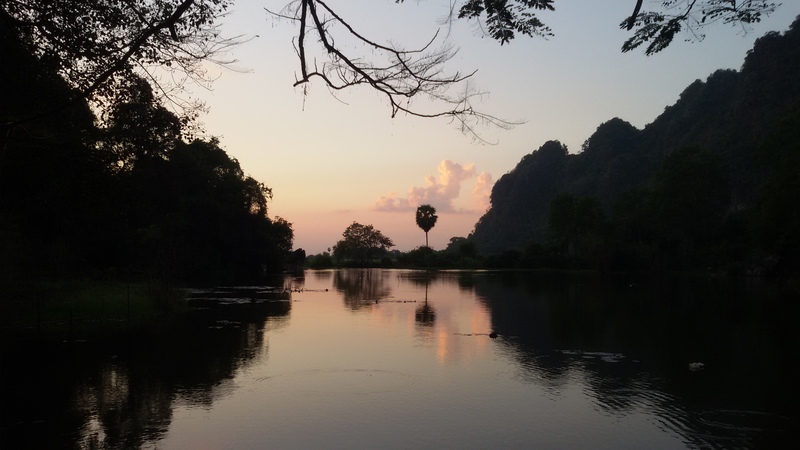 Hpa An is one tangible proof how Burmese so love their god and His creation. This cave is king Manuaha sanctuary after being beaten in 7th century war. 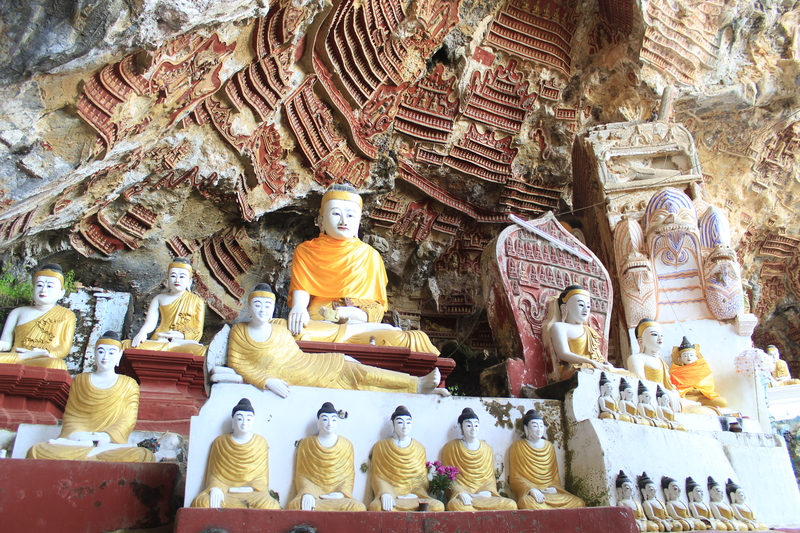 What makes this cave remained more than just usual cave is not only you can find some Buddha statues erected in different position and mural paintings, but also large amount of Buddha image carved on tiny plates attached on the walls. These plates were attached by pilgrimates who came since centuries ago and keep increasing in number. These sites are my favorite ones! Right before reaching the entrance of Zhwe Ka Bin trekking entrance, you are going to be greeted by thousands gilded sitting Buddha with its tender smile on a green carpeting savanna. You can spend approximately two hours climbing Zwe Ka Bin to reach its top and visit Buddha Hair Relic pagoda. Besides, from there you could also see how round the shape of Kyauk Kan Latt lake is. 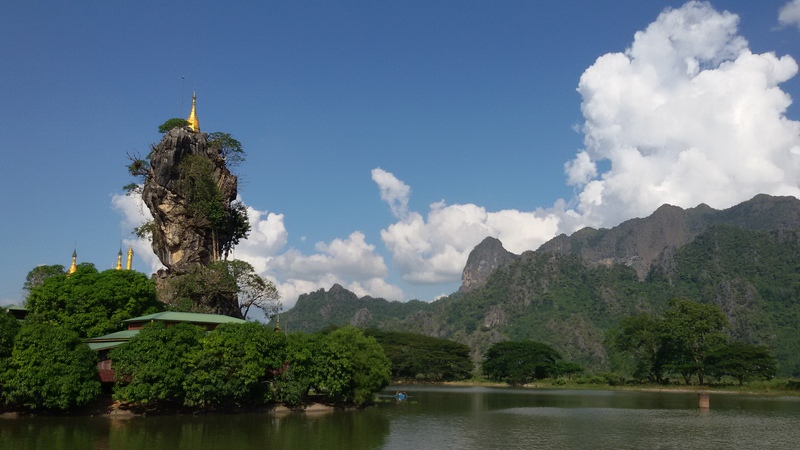 Sure you don’t want to miss this itinerary, since Zwe Ka Bin mountain is the iconic landmark of Hpa An! 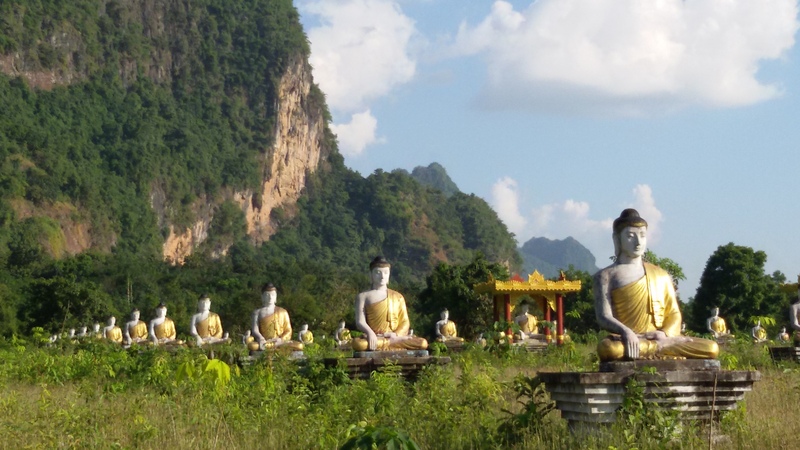 Yes, most of Hpa An tourism sites are a caving session as in Ya The Bya cave, or Banyi Yi cave with almost similar template, cave, stalagmites and some Buddha statues. But Sadan cave is more than that! I absolutely recommend this place to end up your Hpa An day! Bring your flashlight to explore the deep darkness inside the cave for almost half an hour. Not only natural carving like giant stalagmites and stalactites you can meet inside the cave, but also the sanctuary of thousand screeching bats hanging on the roof. Quite exhausting indeed, but wait until you reach the end of the tunnel! A gigantic cave mouth on a height displaying an incredible panorama outside there. Refracting a marvelous reflection of spiraling trees and mountains, the lake down there presents a perfect sunlit evening. 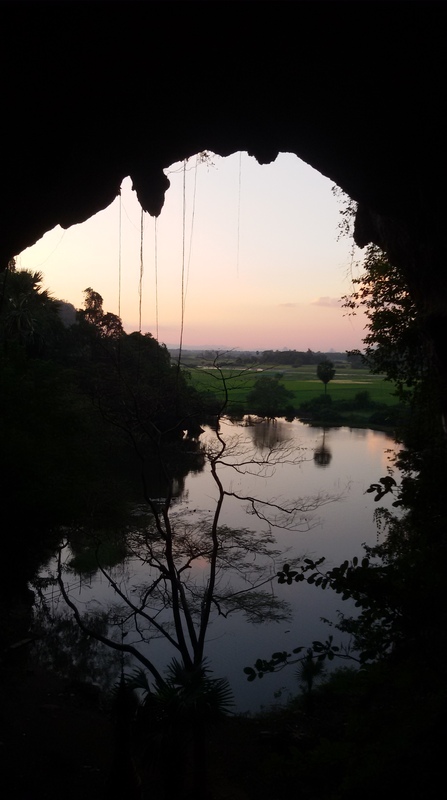 I bet, Sunset in Sadan cave will leave an epic memory in mind. It feels like you’ve just finished the adventure and finally found the lost world! Amazing, you’re going to be mesmerized by what you have witnessed! Well, it’s not over yet! Climb down the stair through a narrow tunnel to get to the lake side. Take a small wooden canoe and across the lake through another cave mouth to get to the other side of the cave, to the main entrance where you start your adventure before. How fascinating it would be! kwkwkwkkwkw ada wa gk sih u? Iya sampai kok, bang. Berguna banget!!! Masih inget aja sama gue hahaha. Aku udah baca semua dari dulu-duluuuuuu. Jadi pengen eksplor semua bagian Bangkok!!! Previous PostWhy not Be Dream Hostel? ?